1. 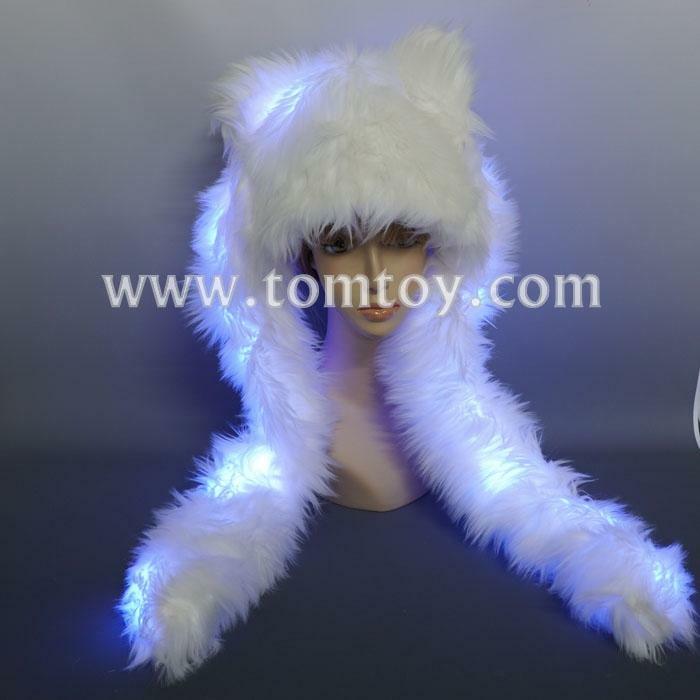 LED Light up Polar Bear Hat for the warm winter. 3. Made of a deep luxurious plush fabric for maximum confort. 5. 4pcs AA batteries are included and installed. 6. Simple On/Off switch, easy to use.